Holt’s CFX Pros are pretty conservative/classic compared to the rest of Franklin guys, but these are still sharp. The red/blacks are especially sick. 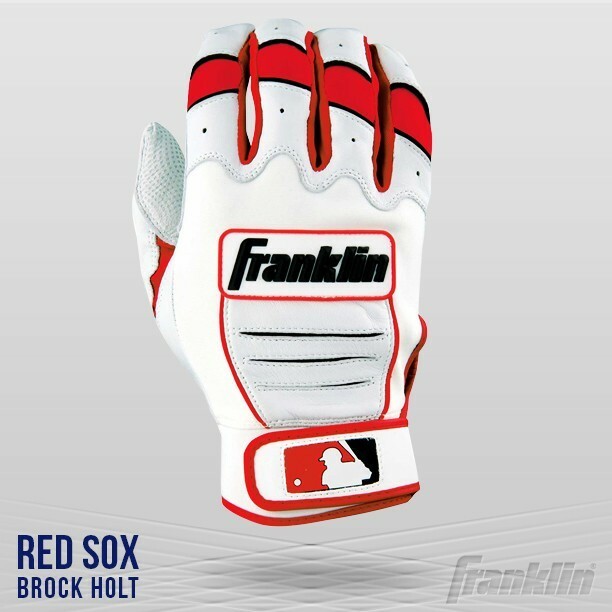 These can be customized just like Holt’s using Franklin’s custom builder. Categories: Gear, Outfield, Batting Gloves, Boston Red Sox, Brock Holt.